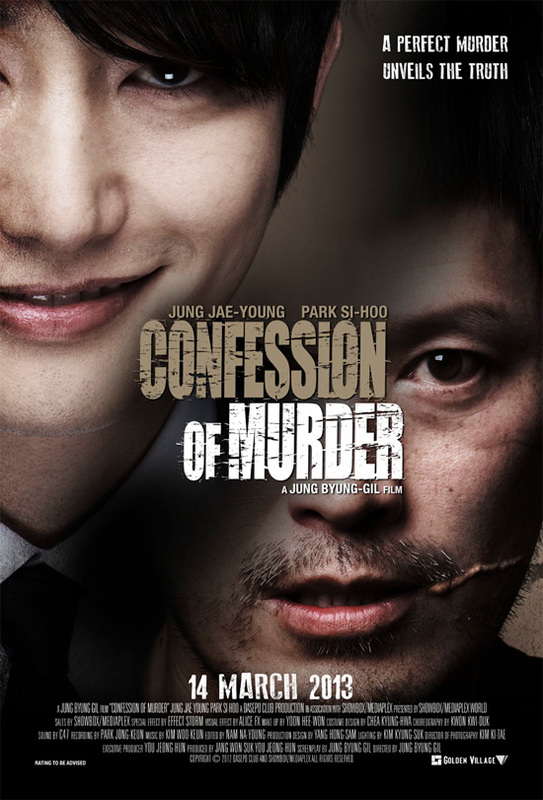 CONFESSION OF MURDER - A Korean Action Thriller Movie. Written and directed by Jung Byung-gil. Starring Jung Jae-young and Park Si-hoo. The movie is about a serial killer who became a celebrity after 15 years, by publishing a book on his murders, and the detective who was on this case but is unable to apprehend this murderer turn celebrity, because the law has forgave him. I was invited by CF to join her in this movie preview today at GV Plaza. This movie preview event is jointly-organised by GV and omy.sg. CF is one of the lucky 20 bloggers who are selected to bring along a guest to watch and review this movie. Their blogs will be shared on omy blog club. There were other guests with goodies bags, I guess they are from other contests'. It is a free seating event. Confession of Murder will be available on Singapore's big screen starting this Thursday, 14 March 2013. This movie is rated NC16. 15 years ago, an infamous serial killing case that left 10 women dead shook the nation. Now its statute of limitations is about to expire, and a member of the victim family throws himself off a building in front of the detective Choi who is the primary detective on the case. 2 years later, a man named Lee Du-seok publishes a book titled “Confession of Murder”, claiming his responsibility for the murders that took place 17 years ago. His book becomes a huge success, making him an instant celebrity thanks to his beautiful façade and innately danger that’s associated with his presence. Choi can only watch from the sidelines as his hands are tied, because Lee has been pardoned legally. The law forgave him, but even after the expiration of statute of limitations, the case is not yet over! In summary, the movie though is a action thriller, there are parts in the show enough to make it a comedy too. But comedy sounds like a rude term to the women who had died in the story. There are a few twists to the story, making me want to scroll back the movie and re watch to get my bearings on the story's orientation. Love Detective Choi's mother. She's such a cute woman and the detective behaves so cutely around his mother. The ending was... peaceful. It's a nice weekday movie.